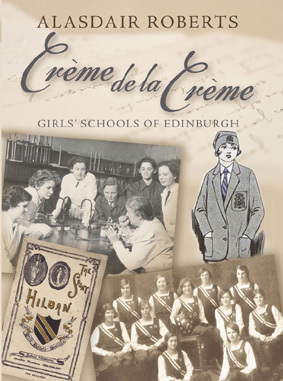 Edinburgh was the place where the fictional Miss Jean Brodie taught her girls to believe they were the 'crème de la crème', where there was a real St Trinnean's, and where an unusually large proportion of the city's girls went to independent schools. These schools rose and fell over the decades, with their high point perhaps being the mid-20th century. Now author Alasdair Roberts has produced this insightful, lively and occasionally amusing survey of a special feature of Edinburgh life. Alasdair Roberts attended an Edinburgh boys' school before studying History at Edinburgh University. After adding an Education degree from Glasgow University and teaching high school in Montreal, he joined the staff of Aberdeen College of Education. He has written extensively on both history and education and his books include Out to Play: the Middle Years of Childhood. Now a full-time writer in retirement on the NW coast of Scotland, he has three Highland books in print and is working on a fourth.